INCREDIBLE SALE PRICE. SALE ENDS SOON. *Whilst stocks last. This unit is installed with the latest Mavericks 10.9 and is ready to use straight out of the box. 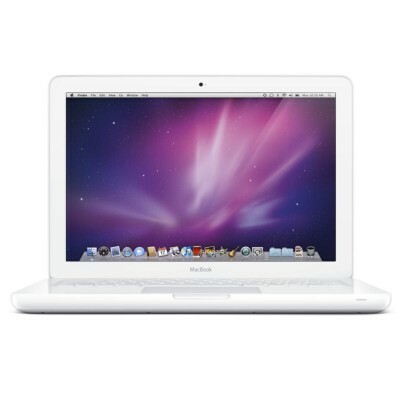 The laptop is comptabible with the next operating system 10.10 which is due to be released this Autumn. 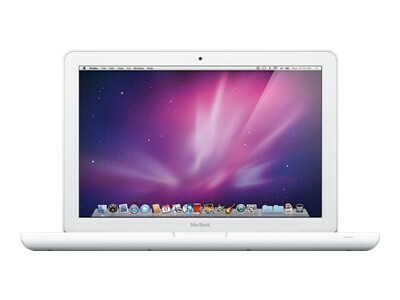 White, Apple MacBook with the latest Mac OS X 10.9. 2.1 kg, Lithium polymer battery 7 hour(s), 33 cm x 23.2 cm x 2.7 cm. The sleek MacBook cuts a slim profile on any desk (or in any backpack or briefcase). It features a seamless, durable unibody enclosure with rounded contours that make it easy to pick up and slide into and out of your bag. It's made of rugged polycarbonate that withstands the rough and tumble of everyday life at school, at work, or while travelling. And since the bottom of the MacBook is covered in a nonslip material, it always stays right where you put it - whether it's on a desk, table, or airplane tray. The machine has been upgraded to OS 10.9 Mavericks. 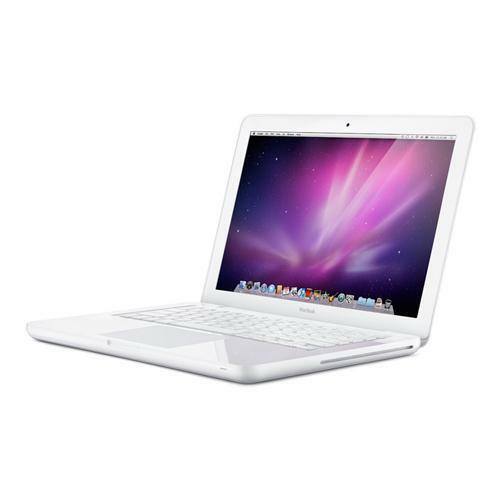 This laptop can be downgraded to Mac OS Lion if necessary, please email us before placing the order.